Industrial products provide dust suppression, water management alternatives. Anyone who has driven on a rural road or worked in remote areas where oil, mining, forestry or other development is occurring knows dealing with dust and unstable soils can be annoying; it can also be a never-ending and costly task. Winnipeg-based Cypher Environmental Ltd., run by 34-year-old entrepreneur Todd Burns, has perfected an eco-friendly way to virtually eliminate that dust and to stabilize soils in areas like mine sites, where heavy truck traffic is a constant and expensive irritant. And it has developed a technology that uses bacteria and enzymes for wastewater remediation, potentially a multimillion-dollar market. Cypher’s business motto – “Driven by innovation – partners in performance” – captures the fast-growing company’s raison d’être. As is the case with most successful companies, it took leadership to bring that motto and vision to reality. Burns, who has travelled to more than 40 countries to promote and market Cypher’s suite of environmentally friendly technologies, was a 2001 graduate of Winnipeg’s Red River College when he saw the potential of a technology his late father had discovered. He had also later studied environmental science at the University of Manitoba. While the firm has only a handful of direct employees now in Winnipeg, most are engineers and technologists dedicated to product enhancement and development. But with dozens of distributors worldwide and with a reliance on its own manufacturing capabilities, the company’s footprint is much larger, Burns said. As sales of its products climb into the millions of dollars annually, the company continues to expand its Winnipeg head office staff, with plans to hire more engineering technicians and another business development manager this year. Burns said it was all about taking good ideas and hiring technical staff, such as engineers and scientists, who could generate the data to illustrate to customers just how beneficial its technologies are. From that nucleus the company has expanded its expertise in the areas of dust suppression, road stabilization and water treatment products, all multimillion—dollar markets worldwide. All of its products are 100% environmentally friendly and are organic, biodegradable and non-toxic. One of its initial core products, Dust Stop, is benefiting from a $65,000 federal applied research and development grant, aimed at enhancing its already impressive value proposition. Its other products, EarthZyme and UltraZyme have also benefited from large investments in research and development. Dust Stop can deliver significant environmental benefits and major cost savings, which is a characteristic of all of Cypher’s products. Burns has no problem describing the benefits of the product. In addition, reduction of GHGs and other environmental benefits are significant. 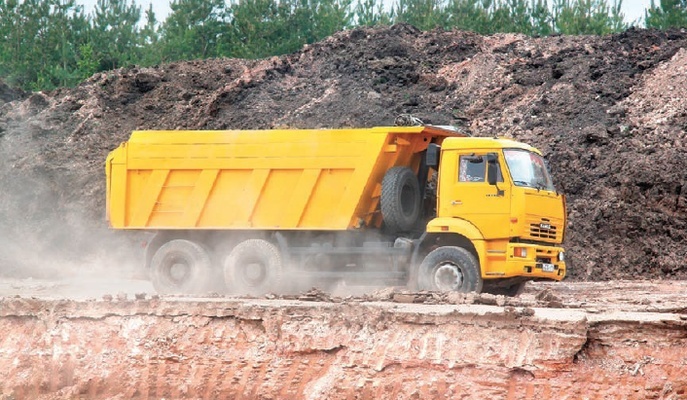 For instance, Dust Stop eliminates road crews’ frequent use, especially on mining sites, of calcium chloride and magnesium chloride – both of which are highly caustic and corrosive – to prevent dust. There’s an obvious time savings as well, with traffic to the site not being disrupted as often. Dust Stop, which is in use worldwide, is a proven product, widely used among municipal governments, miners and other resource producers. EarthZyme, another of the firm’s popular products, is ideal for the clay-based soils that are common in Canada and worldwide. It’s a non-toxic, enzyme-based soil stabilizer, used extensively in remote locations like mining sites. With just one application, EarthZyme can help significantly reduce road maintenance costs by increasing the road’s compaction and strength. In many cases, EarthZyme and Dust Stop are both used on a work site. Cypher customer Syncrude Canada Ltd. applied EarthZyme on mine haul roads at its oilsands plant site in northern Alberta. A followup study found that rolling resistance, a common problem on roads used by large haul trucks, was reduced dramatically and fuel costs were cut by as much as 90%. Engineers on his staff continue to work on enhancements of the products. With Cypher’s newest product, UltraZyme, the company is entering a new and mammoth market worldwide. UltraZyme is a cost-effective, environmentally friendly product used for effluent treatment. In lagoons or waste-water treatment plants, UltraZyme works by speeding up the digestion of organics. Burns said the company is now working with University of Alberta researchers to test its effectiveness in remediating oilsands tailings, which presents a huge environmental challenge for oilsands miners. Cypher is also advancing its work using UltraZyme on high-nitrogen-content water. Because of the drop in commodity prices, sales of Dust Stop and EarthZyme to the mining and oil industry were lagging for a time, but Burns said the company emphasized the cost savings of using the products. Meanwhile, it continues to develop other products and applications, such as EarthZyme’s use in other applications in the municipal sector, where it sees a large opportunity. While the young executive continues to spend more time in airplanes than he would like, considering he has a young family, he credits World Trade Centre Winnipeg and, in particular, the Centrallia event, which attracts entrepreneurs and trade officials from more than 30 countries to the city, with helping his firm market internationally. His firm, which has participated in past Centrallia events, will attend this year’s event, to be held May 25-27 at the RBC Convention Centre Winnipeg. Burns said Centrallia, which is billed as the equivalent of a “speed-dating opportunity” for small and mid-sized businesses, gives his company the opportunity to meet one on one with business people from throughout the world. Centrallia, which is held every two years, has helped foster sales opportunities for Cypher, he said. This year, he will be a member of the panel discussing opportunities in the Americas – a role that recognizes his expertise in tapping international markets. Centrallia gives Manitoba-based businesses, as well as other Canadian companies, a grasp of the opportunities that lie outside of their provinces and Canada, something Cypher has realized.